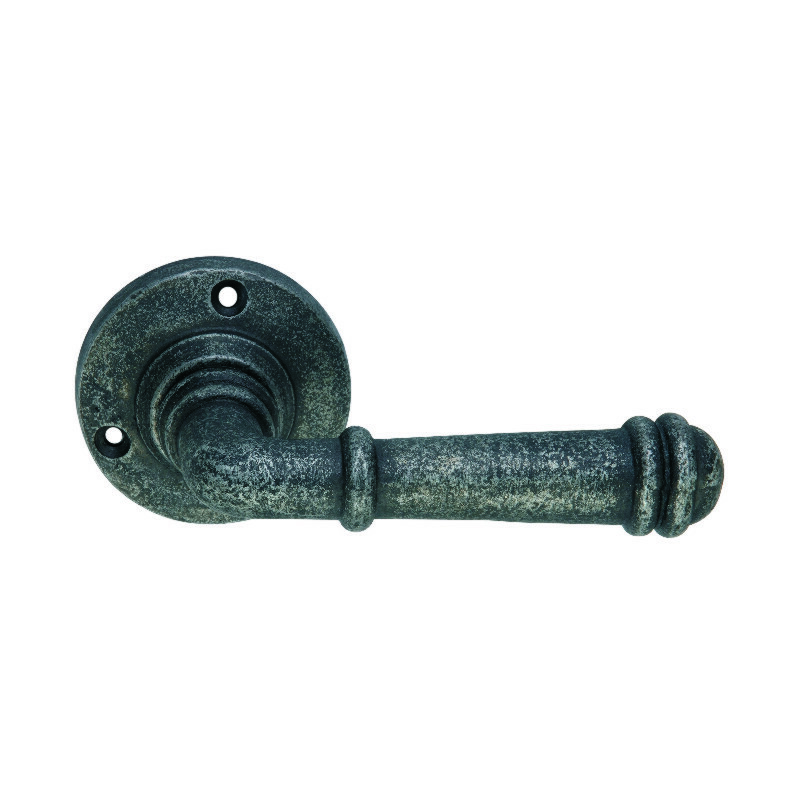 This designer handle on rose comes with a pewter finish. 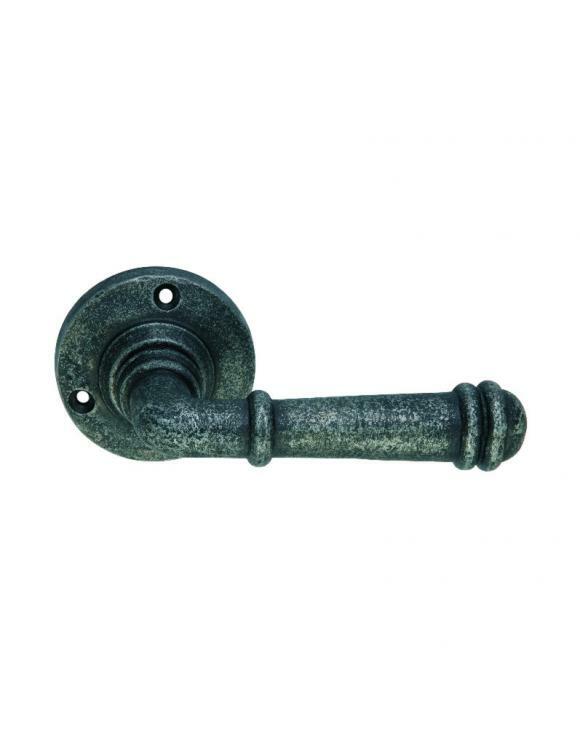 Please do not compare these interior door handles with the cheap ones available on the market currently. You can feel the quality in the weight with this product.